Interesting choice to devote some time swimming in Rotterdam. Is it not your first time here? Tell us how it went utilizing the Facebook comments beneath or contacting us directly! 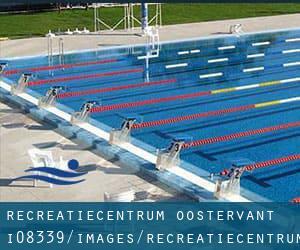 Recreatiecentrum Oostervant is only one of all the swimming pools Swimia is providing you, and its information has been shared with us by a swimmer like you.Remember you possibly can now promote Recreatiecentrum Oostervant by sharing this page with your buddies, adding comments and linking to us. This sports center offers 25 meters, Indoors. Contact information for this Swimming Pool just like phone number and email address are number. If you believe that any with the knowledge is incorrect, please contact us. Aid us be better day-by-day. Updated on 2019 Crooswijksestraat 93 , Rotterdam , NETHERLANDS (Postal Code: 3034 AE). Among all the activities offered by the center, if you're considering swimming you might enjoy 25 meters, 4 lanes, Indoors. Just in case you wish to make contact with this Pool just before dropping by, we only know the phone number. Updated on 2019 Gerdesiaweg 480 , Rotterdam , NETHERLANDS (Postal Code: 3061 RA). Among all of the activities offered by the center, if you are interested in swimming you'll enjoy 25 meters x 12 meters, 5 lanes, 2 meters - 3.5 meters depth, 2 meters - 3.5 meters depth, Indoors. Just in case you wish to contact this Swimming Pool before dropping by, we only know the phone number. Updated on 2019 Dwarsdijk 8 , Rotterdam , NETHERLANDS (Postal Code: 3078 JD). Swimmers like you reported 25 meters, Indoors. Unfortunately we do not have the email address of this Pool, but we can give you the phone number. Updated on 2019 van Maanenstraat 8 , Rotterdam , NETHERLANDS (Postal Code: 3038 CZ). This sports center provides 25 meters x 12.5 meters, Indoors. Contact information for this Swimming Pool like phone number and e-mail address are number. Updated on 2019 Bramanteplein 2 , Rotterdam , NETHERLANDS (Postal Code: 3066 BH). Swimmers like you reported 25 meters, Indoors. Unfortunately we do not have the e-mail address of this Swimming Pool, but we can give you the phone number. Updated on 2019 Burg. Koningssingel 48 , Rotterdam , NETHERLANDS (Postal Code: 3051 RN). Swimmers like you reported 20 meters, Indoors. Unfortunately we do not have the email address of this Swimming Pool, but we can give you the phone number. Updated on 2019 Gooilandsingel 7 , Rotterdam , NETHERLANDS (Postal Code: 3083 DP). Among all the activities offered by the center, if you are interested in swimming you can expect to appreciate 25 meters, 6 lanes, Indoors. Just in case you need to contact this Swimming Pool before dropping by, we only know the phone number. Updated on 2019 Jacominastraat 41 , Rotterdam , NETHERLANDS (Postal Code: 3072 SC). This sports center offers 25 meters, Indoors. For this Swimming Pool, only phone number is number here. Updated on 2019 Spaanseweg 4 , Rotterdam , NETHERLANDS (Postal Code: 3028 HW). Among all of the activities supplied by the center, for anyone who is interested in swimming you will appreciate 25 meters x 10 meters, 4 lanes, Indoors. Just in case you would like to make contact with this Swimming Pool prior to dropping by, we only know the phone number. Zevenkampse Ring 301 , Rotterdam , NETHERLANDS (Postal Code: 3068 HG). This sports center gives 25 meters, Indoors. Contact facts for this Swimming Pool similar to phone number and e-mail address are number.